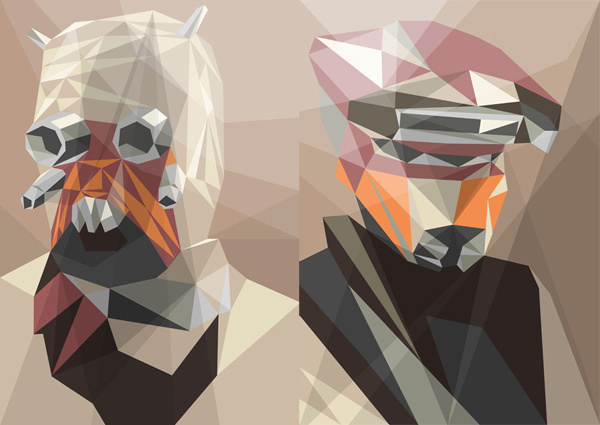 I’ve never imagined polygonal Star Wars characters, except maybe in some wireframe pre-production CGI shots of the new movies, but I have to say that Liam Brazier’s creations do look amazing. 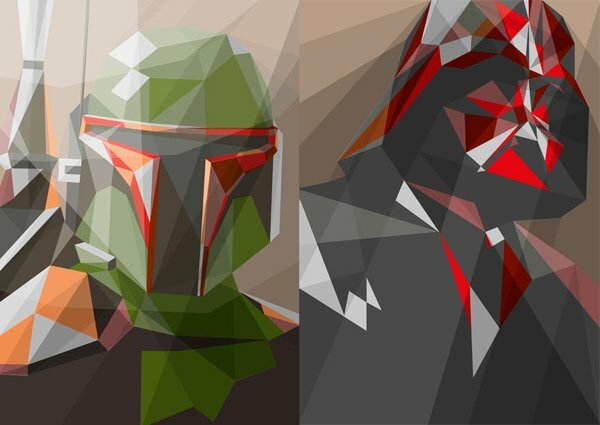 These polygonal characters from Star Wars are definitely unique and put a different spin on your favorite villains. 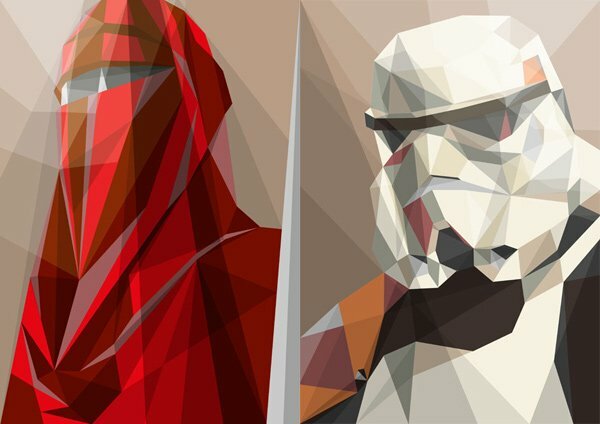 Darth Vader, the Imperial Guard, Stormtrooper, Boba Fett and the Sand Raider look really good (and evil) made up of polygons. If you check out Brazier’s website, you’ll find C-3PO as the sole representative of the light side, albeit Princess Leia masquerading as the Ubese bounty hunter Boushh is kind of in-between – dark on the outside, light in the middle. 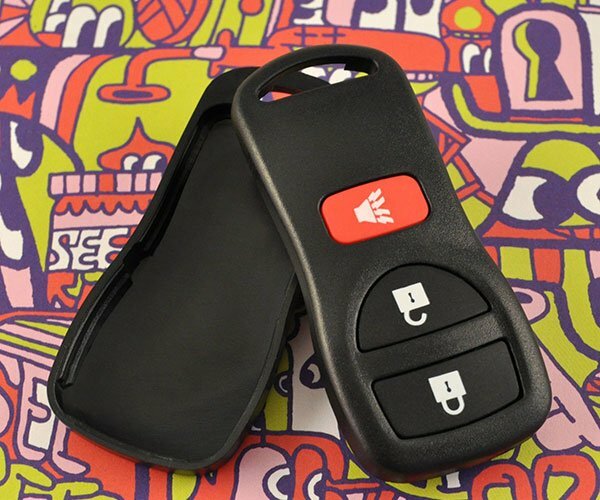 You can get prints, t-shirts, iPod and iPad skins from Society6 starting at $22 (USD), and totes at Envelop for €20 (appx. $28 USD). Brazier also sells prints through INPRNT.